Latitudes are back! After working on a new album for three years, the UK-based experimental/post-metal sensation finally shares new music! The band is known for being influenced by bands like Neurosis, Rush, Blut Aus Nord, Converge, or King Crimson, and this is basically what their music sounds like. Their 2016 release Old Sunlight reflects a genre-spanning adventure that features monumental riffing and dark, emotional songwriting. Now they are going to release the follow-up record Part Island on April 5! This is a warm and organic song that builds up with a wide and ethereal sonic ambiance. Some soft synthesizers accompany this dreamy atmosphere that feels so trusted and safe that I wish to fly away with it. 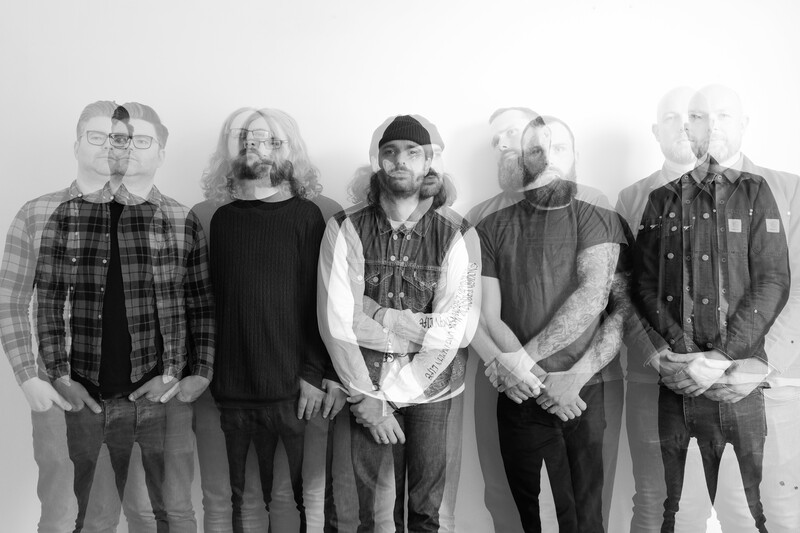 Singer Adam Symonds carries the story of “Moorland Is The Sea” with his captivating voice, while the guitars create a very dark post-metal mood. Some awesome guitar melodies are featured with tremolo picking and add a gloomy black metal sound to the instrumentals. “Moorland Is The Sea” culminates in a grand finale; it fades away in sludgy soundscapes of huge and slow riffs and the mesmerizing signing by Adam Symonds. It takes time to unfold its impact, but when it does, it’s simply overwhelming.”Moorland Is The Sea” is the second song off Latitudes new album Part Island, which was produced by Chris Fielding (Conan) at Skyhammer Studio, and mastered by Brad Boatright from Audiosiege (Converge). The artwork was done by Dehn Sora (Blut Aus Nord) and visually ties together what is to be found in six very emotive songs. As mentioned above, the record will be released on April 5. You can pre-order it on the following links (Bandcamp | European Shop | North American Shop). Also, make sure to follow Latitudes on Facebook so you don’t miss any updates! Previous PostPeriphery Announces Fifth Album, Releases New Single "Blood Eagle"